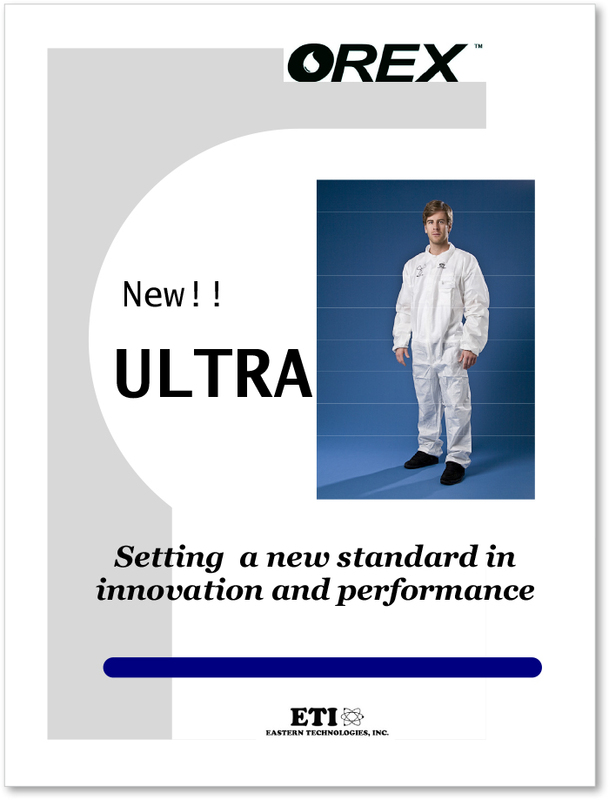 OREX is a line of single-use protective clothing for the nuclear industry. OREX fabric can be dissolved after use, which makes it an environmentally-friendly solution to the issue of nuclear-contaminated garments. This is a niche industry, and personal relationships are considered paramount in terms of making a sale. When I was approached to work with the OREX team, my first step was to enlist the help of Dan Corredor of Asylum-Pipeline, a marketing specialist. Dan’s research validated the industry’s perception of OREX as an excellent product. But the response to the marketing materials also revealed some issues. One customer strongly endorsed OREX, but also said that the company’s promotional materials didn’t look polished, and could even give rise to doubts about the product among those who were not familiar. This was a real problem, and the OREX team agreed. The findings opened the door to developing a new, more refined approach to OREX trade marketing (see After examples below). In contrast to the older, visually chaotic materials, the updated materials serve as a more credible, sophisticated platform to tell the OREX story. Older promotional materials were cluttered and inconsistent, complicating the message and undermining OREX’s credibility within the industrial market. Updated promotional materials reflect professionalism and organization, properly communicating OREX’s status as a high-quality, technically-advanced product.